Over at the New York Times. 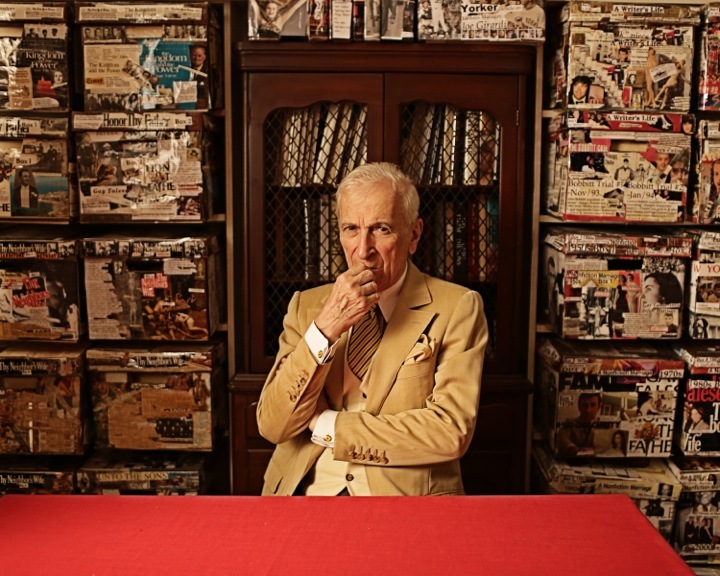 staff writer Sridhar Pappu is in hot water with his own editor over his April 1 piece about the Twitter roasting that poor Talese got when he answered “None” at a writers’ conference to a question asked by a female poet about which female writers inspired him. The feministically correct response was to rattle off a list of female names that preferably doesn’t include the name “Ayn Rand”–all while pulling a Long and Serious Face. Uh-oh! Didn’t Talese, with his decades of reporting experience, realize that it’s a mistake to give an honest answer to a question like that? Speaking truth to feminist power will cost you. “Mr. Talese said, ‘That’s the one that truly hurt me.’ He added: ‘I’d like to talk to her sometime. Why did she have to ask for a selfie after what I said made her so upset? I want to know why.